The Royal Patriot Skunk has only worked once, but then again it has only been tried once, at least by me. 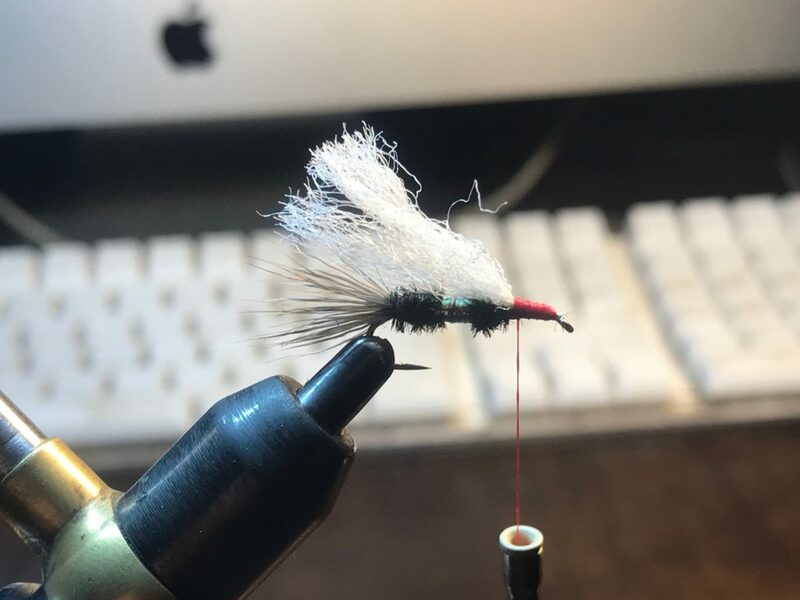 This fly floats a bit higher, and offers a bigger profile, than the original. I have six ready to go for those skunky summer days. The original uses the same components, just sub in the smolt blue krystal flash for the peacock, and put the red thread where the krystal flash is in the fly below. The Patriot Skunk saved a few guide days for me, and made some others. It is a combination of Lafontaine’s Double Wing and the Patriot. Start thread. Some flies I take my time and make a perfect base…but this isn’t one of them. Leave the thread dangling at the barb of the hook. 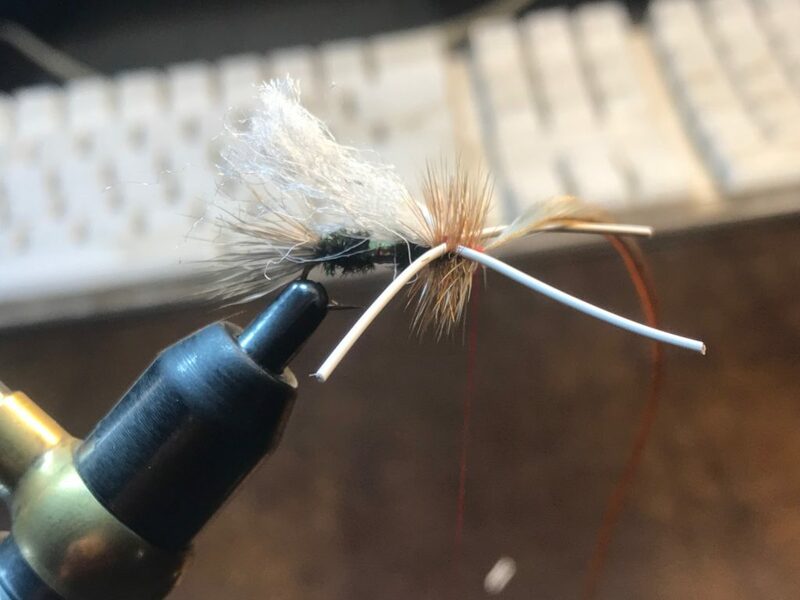 Tie in a healthy clump of deer hair, about the same as you’d use for a size 12 parachute. This is not really a tail so much as an underwing. It should be 3/4 of the hook shank long. 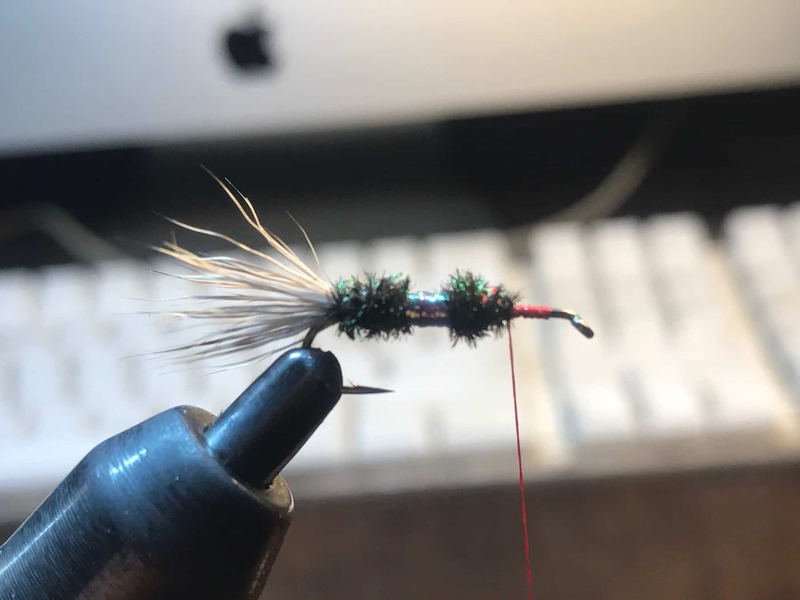 Tie in peacock. 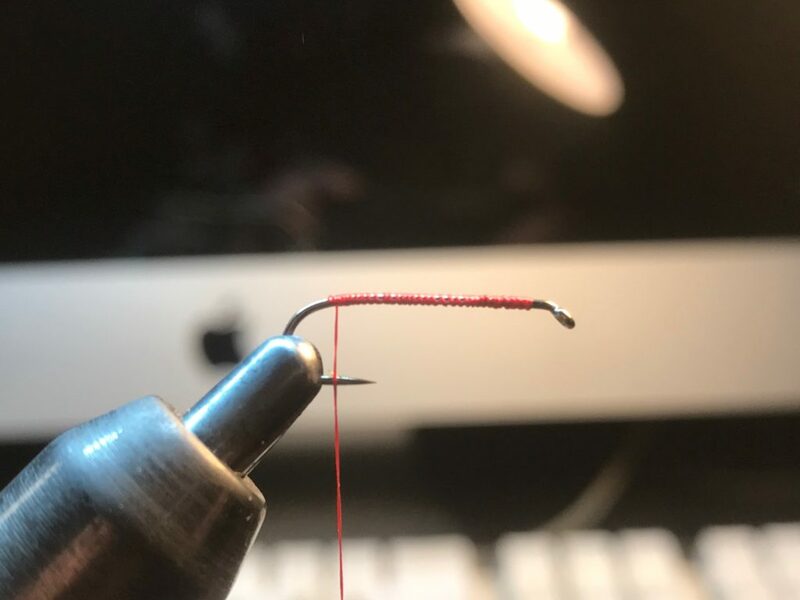 I like to take 2-3 strands of peacock and dub them on to the thread (twist) is a better word. 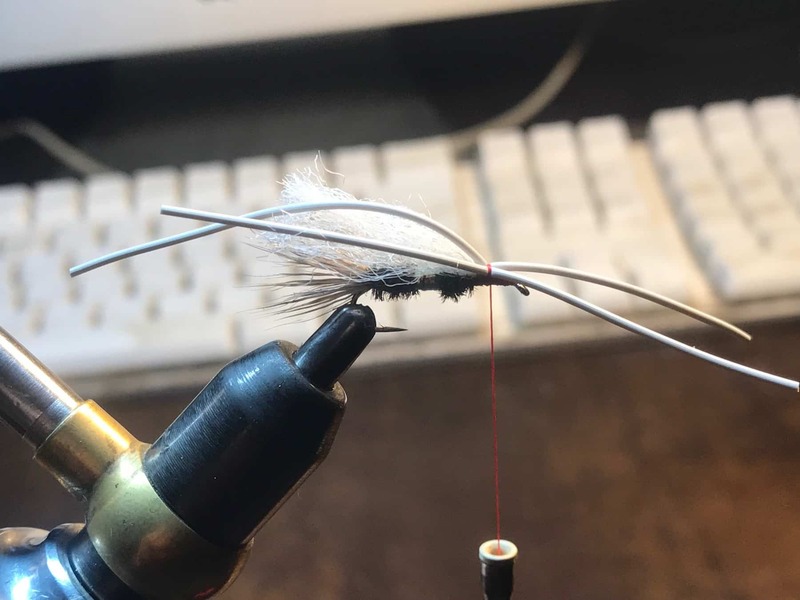 That way if one breaks, either during the tying process (as happens in the video) or while fishing, I don’t have to retire the fly. I want the clump to be 1/4 the length of the hook shank. Now build up the abdomen with the thread and wrap the Krystal Flash over it. Tie in next clump of peacock and repeat with the same process you used for the previous peacock hump. 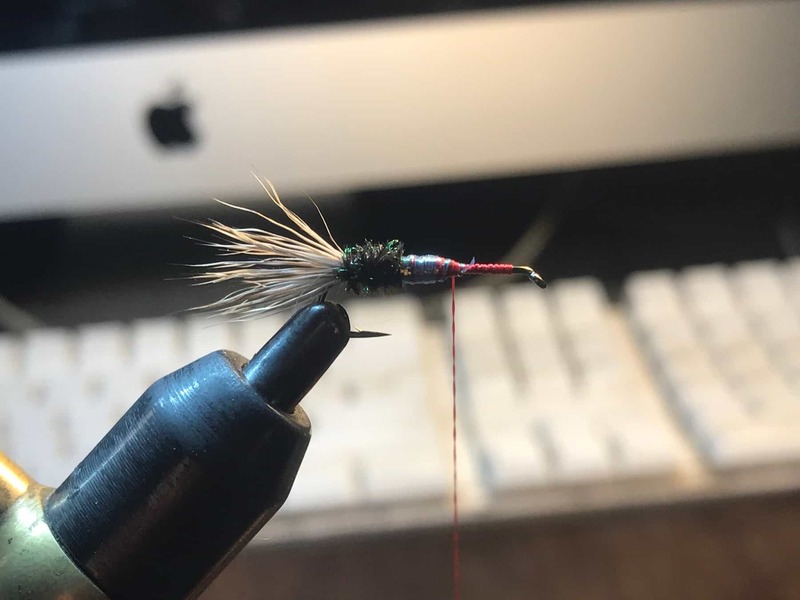 This one, in theory, will be another quarter of the hook shank (this fly is really four quarters) but sometimes this one ends up being slightly smaller. And lock them into place with two harder wraps. 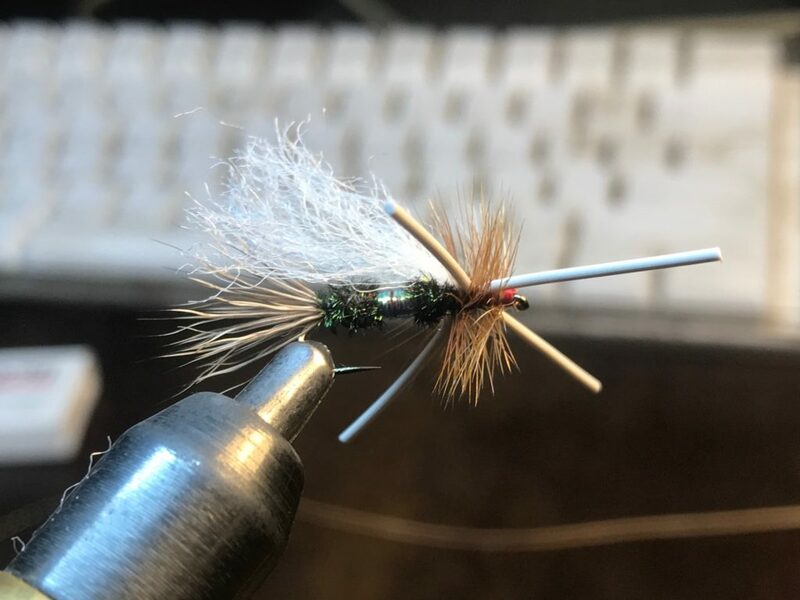 An easy, high-floating, mid-summer bug that, in its various forms, has been an awesome fly on both smalls streams as well as the snooty trout of the main river. 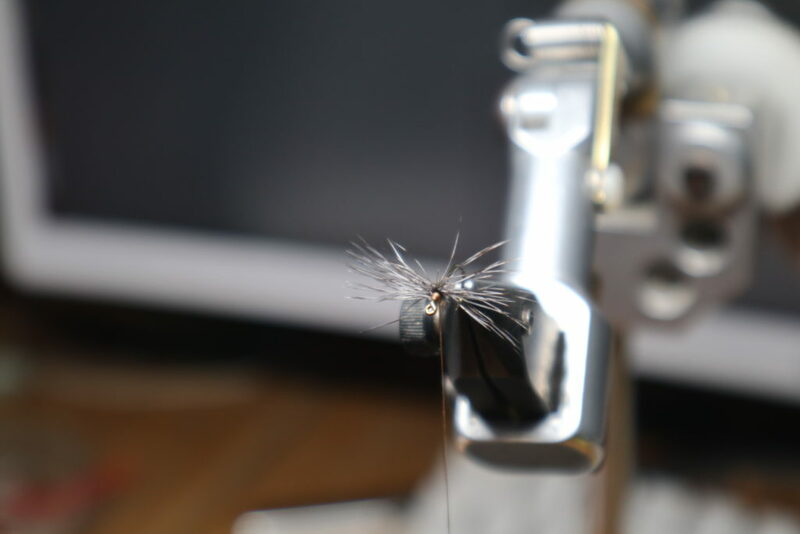 This little fly is nothing more than the classic, Marinaro spinner with a little post for the evening angler. 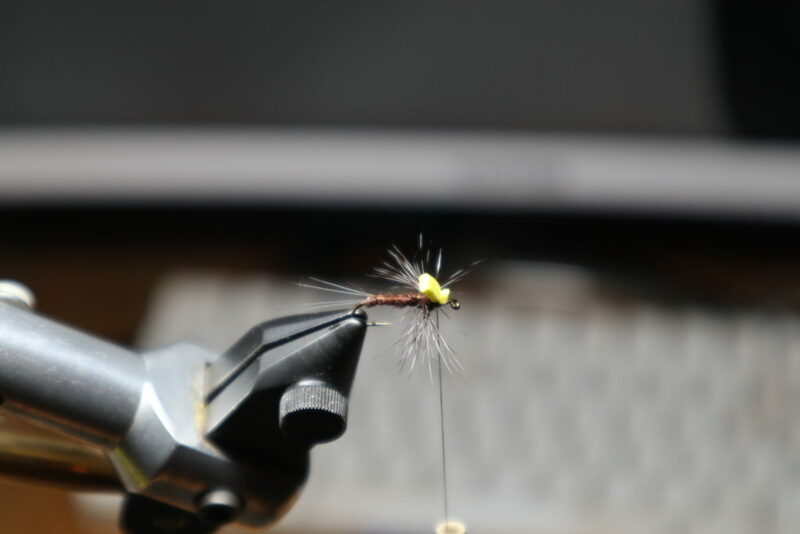 While I normally don’t care if I can see my flies at dusk, for sparse spinners like this, it’s good to know that your fly is still floating. And this fly is sparse! 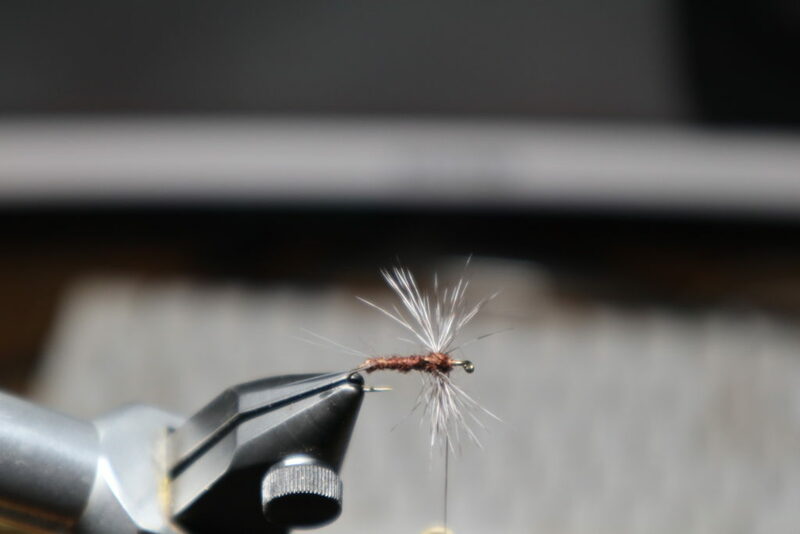 But if you find a tough fish eating hendrickson spinners on the edge of a backwater at dusk, you’ll love this fly, and you’ll even love the post as much as, I’m certain, Marinaro would hate it. 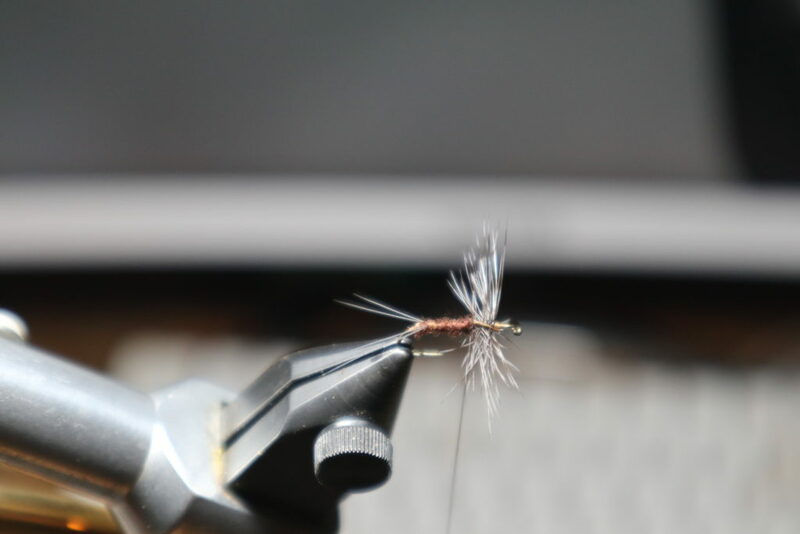 There are a lot of ways to start this fly, but I start with the hackle, so I cover the thorax with thread. Five or so turns of hackle will cover it. Leave enough space by the eye as this is where you’ll tie in the post andfinish the fly. 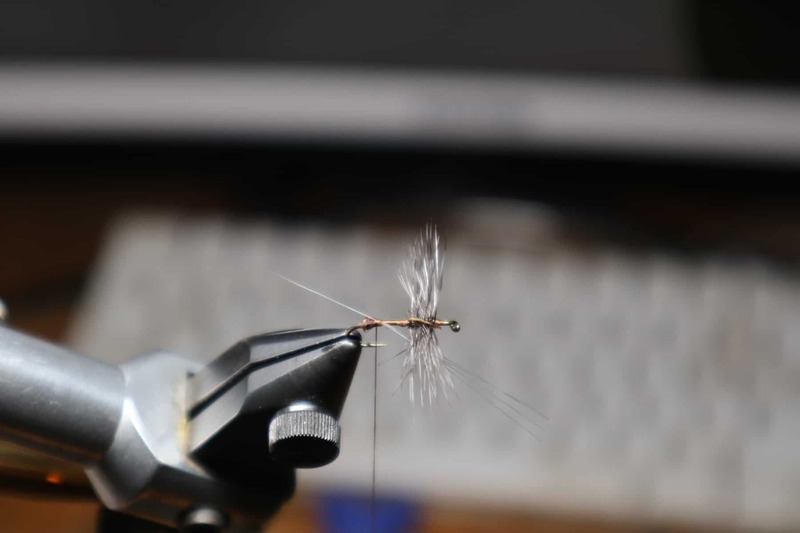 Brush the hackle to the sides from above and below the fly. 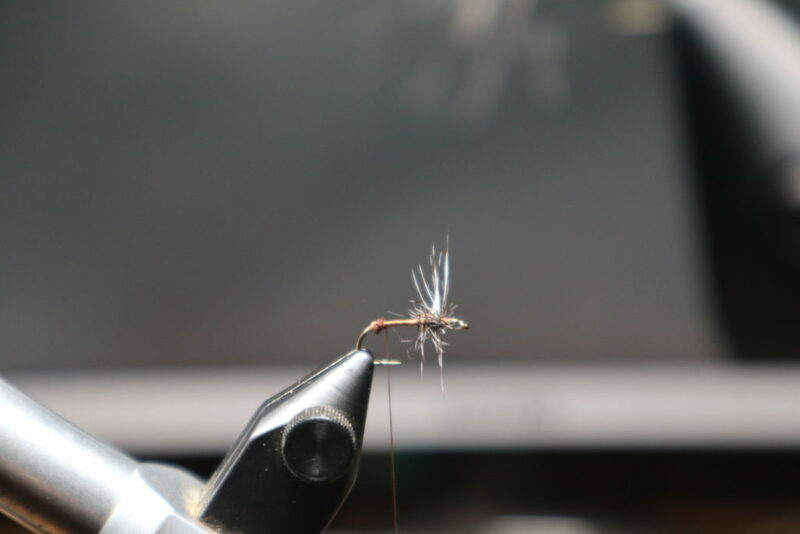 Now clip V’s in the top and bottom fo the hackle. 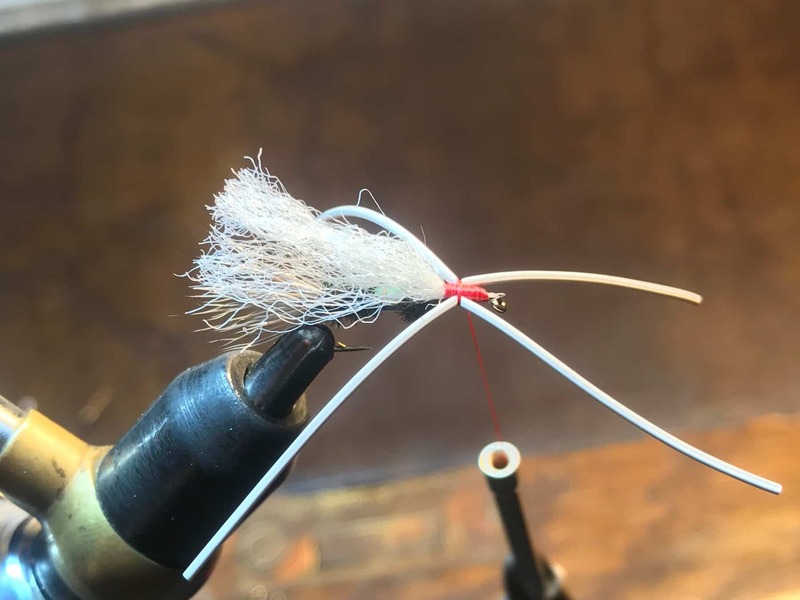 Bring your thread to the back of the fly and dub in a small ball. This can also be an eggsack if you desire. You’re going to use the dubbing ball to split your tails. Tie in your tails in one clump of four at the angle you’d like one side to be, and then pull two to the other side of the bump. You’ll now have two tails on either side of the bump. 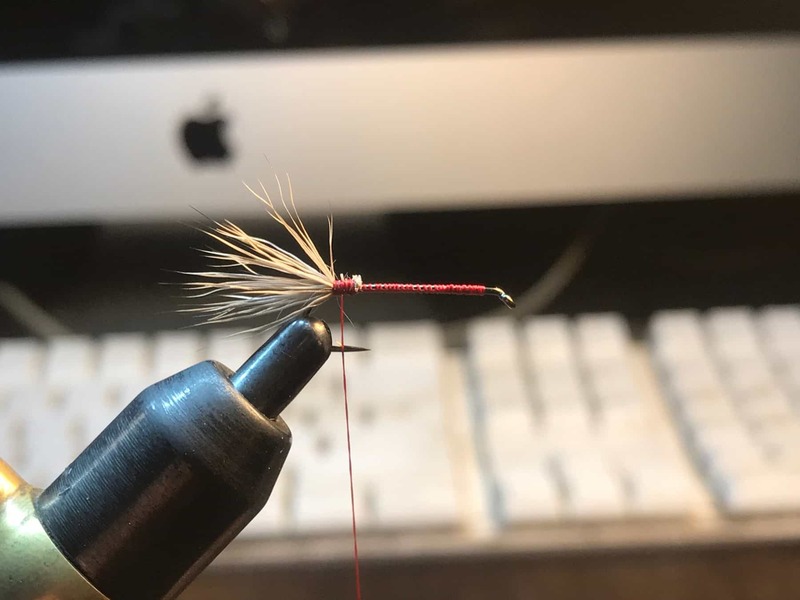 Dub the body, thin toward the tails, and thicker toward the hackle. This step locks the tails in place and builds the body. I like to use beaver dubbing because it really does float well. 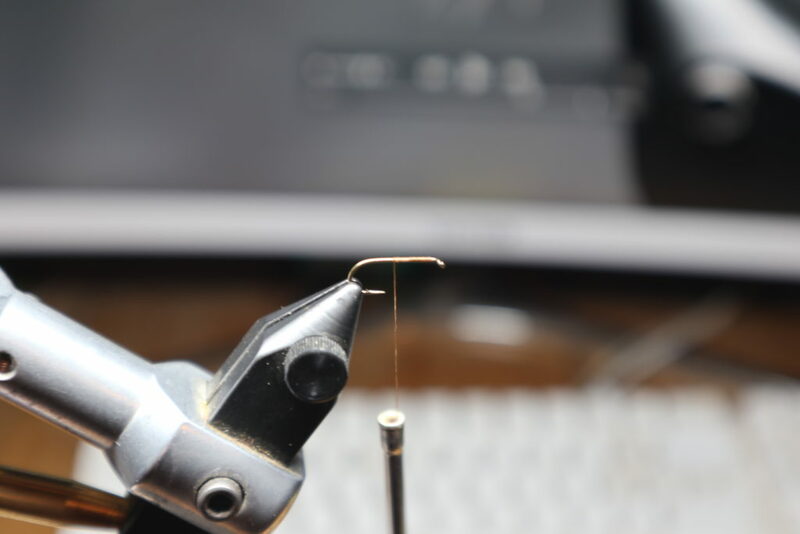 Apply dubbing to the thread and begin to figure 8 through the hackle. If the top of the fly is a clock, you’re going to wrap 4 pm to 10 pm, and 2 pm to 7 pm. 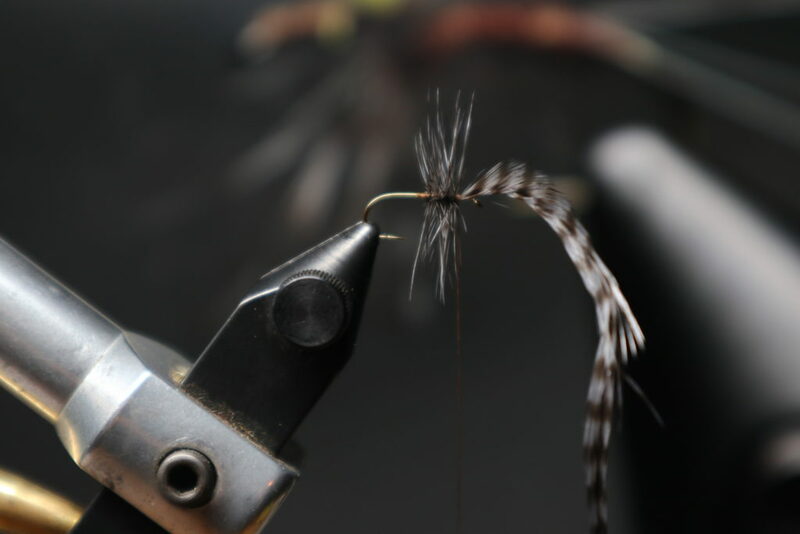 The hackle will go everywhere, but will eventually organize into two wings.